“Happy is the man who can make a living by his hobby” – Pygmalion, George Bernard Shaw. 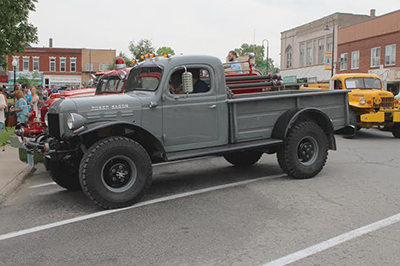 Over forty years ago, David Butler bought an old Dodge Power Wagon as a project to work on in his spare time. Today, his hobby has morphed into a successful family business and an annual event where people from around the world travel to Iowa for a week filled with rallies, parades and vehicular adventures. By 1983, the hobby had grown to such an extent that David began a business called Vintage Power Wagons, which specialized in providing parts and information regarding 4x4 Dodge Power Wagons, and their military predecessors from World War II. A few years ago, David retired, and Kai and his older brother Jens took over the family business. The business specializes in the vehicles that were made between 1940 and 1971, Kai says, because of the history of the trucks. Finding functioning parts of 40, 50, 60, or even 70-year-old trucks isn’t always easy, but the Butler family knows all of the tricks of the trade. “To get your hands on parts for these old Dodge vehicles, you have to have an eye for them and you have to know some of the history of these trucks to know where to look. Many of the vehicles we carry parts for were made for the military, so parts were plentiful and have been well preserved,” Kai explained. What really made the business possible in the beginning were what Kai refers to as NOS (New Old Stock.) These are parts in surplus from wartime efforts, which have remained in pristine condition regardless of their age. “Even today, I can unwrap an NOS part that has been packaged in cosmoline and the part inside is like new, even if it was packaged in 1945,” he said. And Vintage Power Wagon doesn’t just source their products from far away, they also send them across the planet. While there are a lot of old Dodge trucks in America, there’s also a surprising amount all around the world. 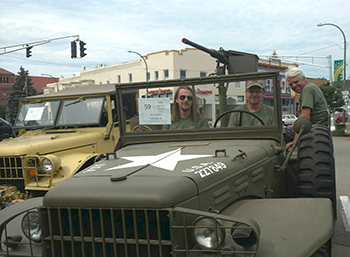 “We had 96 trucks in our parade and six days of fun events for Vintage Dodge truck enthusiasts, friends and family. We have trail rides ranging from easy to extreme off-roading, tractor pull and teeter board competitions, vehicle repair workshops, great food and more,” he said. 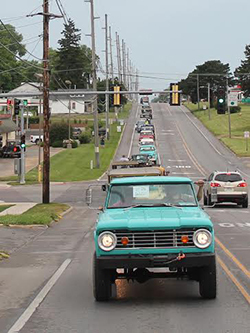 The parade of trucks at this year's annual rally. “I've recently started using the POWr Media Gallery plugin which is probably the best, most inclusive media gallery plugin I have seen available to date,” he said.